Even though some people love Seattle, others would rather be a little farther away. There are several communities just outside of the city that are a little different. So if your next Seattle apartment doesn’t really belong right in the city, consider moving to Bellevue. Regularly ranked as one of the best places to live in the United States — most recently winning 4th place from Money magazine — Bellevue is lovely, plus it’s got a great local economy with plenty of jobs. The weather here is wonderful too, with average highs in the summer only reaching into mid-to-high 70s and winter’s coldest months averaging lows of 35 degrees. While this part of the Pacific Northwest does have plenty of cloudy skies, Bellevue only averages about 36 inches of precipitation each year — much less than many east-coast cities. Full of culture and things to do, this Seattle Suburb has lovely museums, sculptures, botanical gardens, beach parks, trails, and other wonderful activities. As far as apartments go, you’ll certainly be able to find plenty of them in the area — Bellevue has grown for decades — but here’s one apartment that really stands out called Kendall Ridge. Kitanda Brazilian Bakery & Espresso – I lived in Brazil for a few years in the 90s and this place takes me back every time. Yum! 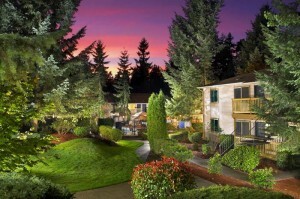 You don’t have to take my word that Kendall Ridge is the best Seattle-area apartment complex you’ll find outside of the city. Instead, stop by and take a tour. Eat at one of the nearby restaurants, check out the delicious pool. You’ll fall in love. How about you? Any luck finding apartments in the Seattle area? Comment below. 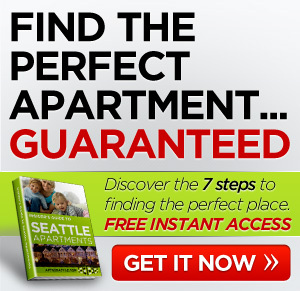 ***If you’d like some help finding an apartment in Seattle, I’ve got a whole staff of people standing by to help you for free. Call one of our apartment experts at 877-676-1767. 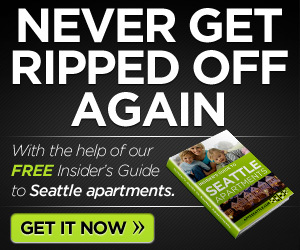 ← Too Many Seattle Rental Properties to Choose From? What About These 7 Apartments?